Coventry Homes offers customizable and eco-friendly floor plan designs on acreage homesites in Grand Mesa at Crystal Falls. The gated community is located in the popular Leander area, known as the gateway to Hill Country. Set amidst stunning natural beauty, the community is still close to Highway 183 and the employment and recreation options of the Lake Travis and Austin areas. 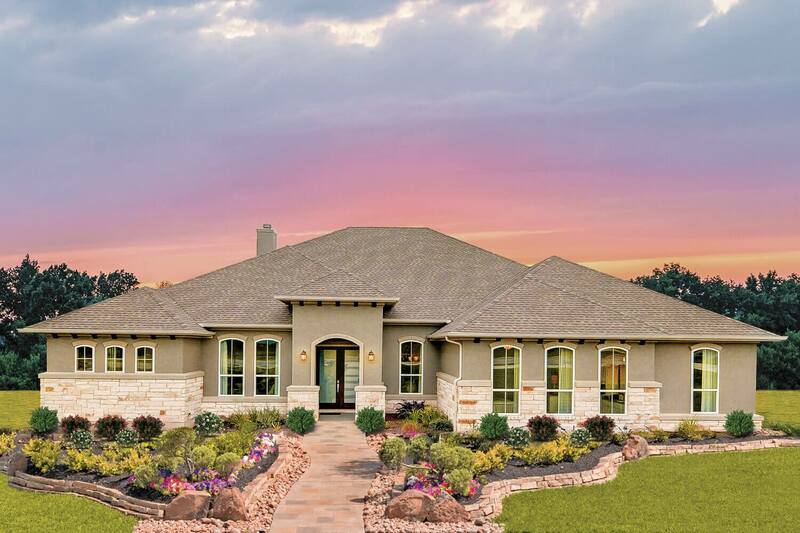 Grand Mesa at Crystal Falls features luxurious, family-friendly amenities such as a grotto pool with waterfalls, a lap pool, a tennis court, playscapes, a fishing lake, and an 18-hole disc golf course. The public Crystal Falls golf course is nestled within the community, featuring 18 scenic holes and a 5,000 sq. ft. clubhouse with pro shop and restaurant. Homes in the community are zoned for the Leander ISD, which in 2017 received the highest rating of Met Standard from the Texas Education Agency. Learn more about the spacious new homes available in Grand Mesa at Crystal Falls today.